Being a progressive country, Thailand boasts skyscrapers that have been intricately designed by some of the major construction companies in the country. These have been painstakingly designed and created by some of the top construction companies in Thailand, particularly in Bangkok, Chonburi and Phuket, to name a few. 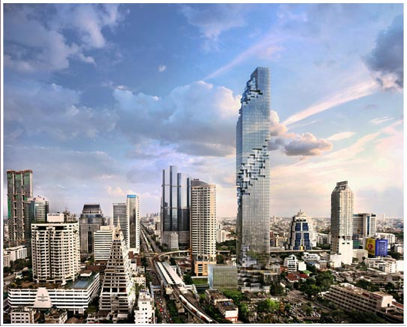 This luxury mixed-use skyscraper is currently under construction located in Silom/Sathon, Bangkok’s central business district. What makes this building unique is that its design and construction company designed and created it with a pixelated façade to make it fit into Thailand’s unique landscape. It has an unusual appearance in that it is a square tower with a glass curtain wall with the side of the building having a cuboid-surfaced spiral cut. Once it’s finished, it will be the capital’s tallest structures at 314 meters. This 85-storey skyscraper hotel stands at 304 meters in the Ratchathewi district in Bangkok. Once the MahaNakhon is completed, the Baiyoke Tower II will be the second tallest building in the city. It comprises the tallest hotel in Southeast Asia and the seventh all-hotel structure in the world. The architect and construction company commissioned to build this high-rise building built a public observatory on the 77th floor, a 360-degree revolving roof deck on the 84th floor, the Roof Top Bar & Music Lounge on the 83rd floor and 673 guest rooms. 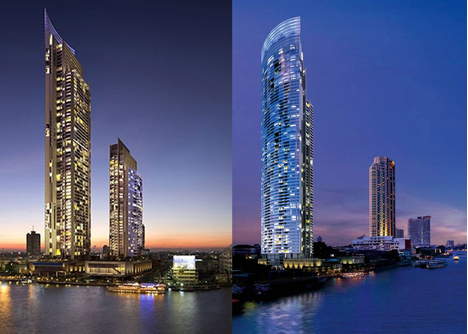 This 291-meter building is located in the banks of Chao Phraya River, across Shangri-La Hotel. It has 70 floors of residential condominiums, which was opened in 2011. The River was built by its building contracting company to have two buildings that both get fantastic views of the river; the south tower is taller, while the other one is shorter. 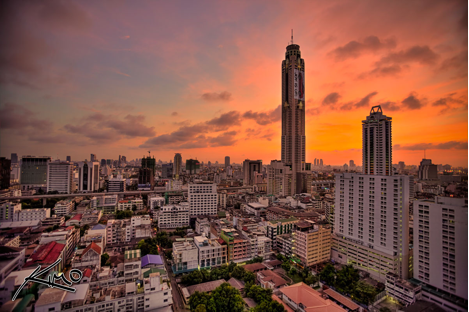 State Tower is a mixed-used building located on Silom Road in the business district of Bang Rak, adjacent to Charoen Krung Road. When one of the best construction firms built it in 2001, it was the largest building in Southeast Asia, standing at 247 meters with a floor area of 300,000 square meters. It has serviced apartments, condominiums, rental and commercial units. 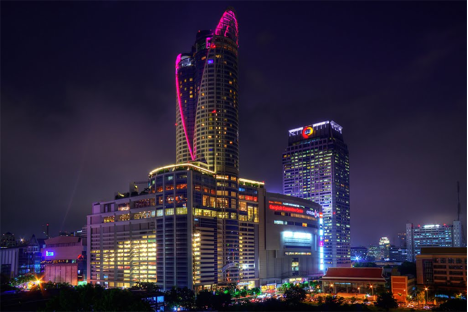 This hotel tower was integrated into the CentralWorld shopping centre in Pathum Wan district. It has public floors and convention facilities that has a 20,000-square meter hall and function rooms. 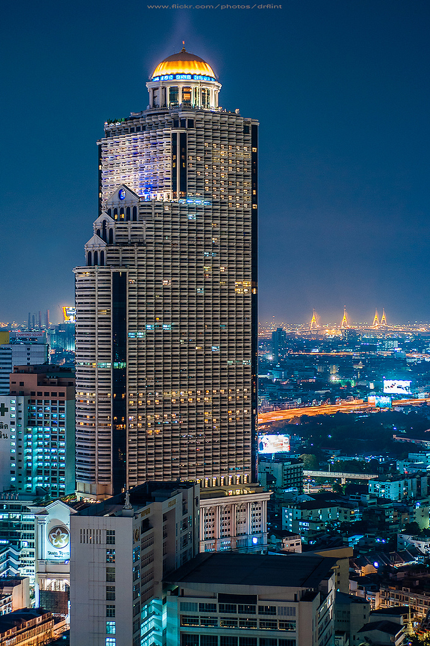 The Centara Grand soars high above, making it a landmark in Bangkok’s skyline.